The Bible tells us that fathers play a fundamental and foundational role in their families. Yet more often than not, dads typically fail to realize the powerful impact they have on their children. I have discovered that fathers don’t hear often enough how important they are in the lives of their kids, and I believe that we as leaders must change that. Why should your church care? Because fathers are an earthly representation of God as a Father. And we need fathers in our communities to be a reason their daughters turn to God as Father, not a reason they turn away from Him. Stated otherwise, dads are a bridge to God as a Father. I’ve been a professional counselor for twenty years and have specifically focused on dads and their daughters for the past seven years. I consistently hear from fathers that parenting their daughters isn’t easy, adding that it grows increasingly harder the older their daughters get. Men often reveal that it’s easier to be a dad to their sons because of all they have in common. So without intention, it can be “normal” for dads to invest more time and energy in their sons, while moms can become the “default” parent for their daughters. The reason this isn’t acceptable is that a daughter desperately needs to know not just what her dad thinks, but what he thinks of her! Not only that, but she will internalize his view of her. A daughter may act like she doesn’t care what her dad has to say, but underneath it all she does care. The reality is that she doesn’t ever want to be a disappointment to him, which happens to be one of the most frequent comments that girls tell me in my counseling office. I believe the church is the best place for men to be inspired and educated about relating to their daughters. This is where men can see real-life examples of how to be a father to their daughters from watching other men, especially those who are further down the road with older girls. This is why it is vital to set up environments for younger dads to interact with seasoned dads. When a dad sees another man pray with his daughter, he sees a vision of family prayer. When he hears another man admit that he’s having family conflict, there is an opportunity to learn how to handle troubles at home. This kind of supportive environment sets a framework for men to band together as allies in the learning process. Beyond that, when a church trains and equips dads with more effective relational tools, the stage is set for interpersonal bonding with powerful, life-changing results for both fathers and daughters! Unfortunately, however, the church oftentimes is challenged in meeting dads where they are. I know this because churches are increasingly asking how they can better involve fathers in their ministries. Two years ago I spoke at a church leadership conference on reengaging fathers in the church. Because my perspective on father-daughter relationships has primarily been informed from outside the church, I decided to interview a dozen community and national leaders. Provide men with opportunities to grow in their leadership. Most men who serve want to make an impact and have a desire to lead. Look for areas where fathers can be involved, because every child longs for dad to be an active participant in his or her life. Engage their gifts. Men like to do things, so give them opportunities to serve in areas where they already have strengths and a skill set. Let them relate in the way they feel most comfortable. Then as they participate, all the while building relationships with like-minded cohorts, there is a greater likelihood of long-term commitment. Honor their professional work experience. Churches that honor men by releasing them to share their expertise seem to do a better job at retaining men. Take their suggestions seriously. Men typically don’t share their thoughts about something unless or until they want to see change. Engage them in the process by inviting them to give input while potentially making their suggestions a reality. Keep communication short, simple, and targeted. Bullet points are very effective! As a pastor, you play a pivotal role in the lives of the families you serve. Sometimes it’s a struggling father or a disheartened daughter who is seeking counsel from you, while at other times it is strongly suggested by another family member that they meet with you. Sometimes one or the other gets “dragged in” to talk to someone for help. Have you considered how you would provide support for this specific relationship? First, listen well. If you are a parent, it may be easier to ally with the father’s point of view rather than fully hearing her story. Remember that God has given you two ears and one mouth, which can serve as a reminder to listen twice as much as you talk. James tells us that “everyone should be quick to listen [and] slow to speak” (1:19), and one of the best gifts you can give is to be more than a quick problem-solver. Listen well to discover the heart of what this daughter wants and needs. Second, encourage her to write a letter to her dad. She can freely express her hurts, feelings, frustrations, needs, longings, and questions without judgment–even if she never gives the letter to him. Through this process of honest expression she will be able to think more clearly, because it provides a pathway for relief and proactive problem-solving. Third, offer to meet with the two of them while she reads her dad the letter—but only if she feels safe and believes it would be helpful to do so. You can support their communication by providing a safe forum for a possible resolution. End with prayer for healing in their relationship. Offer to meet with her dad separately to speak into his life about how to be a dialed-in dad to his daughter. When a father comes to his pastor to seek help in parenting, there is a unique opportunity to point him to the ultimate role model by teaching him how God acts as our Father. One passage of Scripture that is particularly helpful is the story of the prodigal son in Luke 15. Though not every daughter resembles this son’s level of rebellion, dads can look to the father in this parable as a model for restoring a relationship with a wayward child, something which all fathers will have repeated opportunities to do. In his own words Jesus said, “And he [the prodigal son] arose and came to his father. But while he was still a long way off, his father saw him and felt compassion, and ran and embraced him and kissed him” (Luke 15:20 ESV). 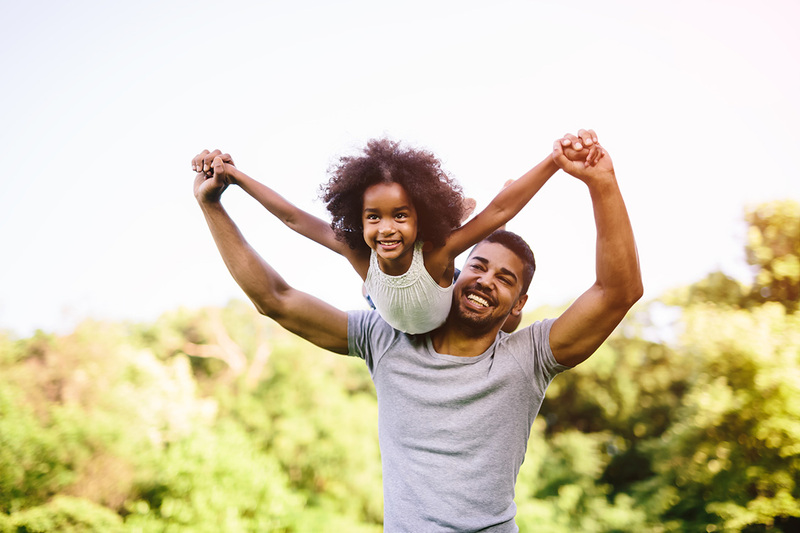 The father in this story represents God as a Father, who provides the best template for fathers to learn how to positively relate to their children. To stay consistent with the father-daughter theme, I will take the liberty of making each point specific to that relationship. He sees his daughter. This father saw his child, probably because he regularly had been on the lookout. This serves as a reminder that every daughter should be a focus of her dad’s attention. He feels compassion. This father had every right to feel angry or indignant; such a response would have been expected in his culture. Instead he responded tenderly in a vulnerable way that expressed kindness, empathy, and grace. He runs toward his daughter. This father didn’t sit and wait for his child to approach him; instead, he ran with urgency. When a dad takes the initiative to move toward his daughter and pursue her heart in a nurturing way, she will more easily be drawn back toward him (which isn’t a guarantee, but a prayer-filled hope). He embraces his daughter. This father held his child and showed outward affection as a symbol of the love he felt in his heart. When a daughter has healthy physical touch from her dad, she will be less likely to look for love in all the wrong places. He kisses his daughter. The original Greek text says he “fell on the neck of the son,” which communicates the exuberance of the father’s embrace. He was showing special and unexpected affection at the return of his child who had dishonored him. This would have been a radical point for Jesus’ original audience, and we dare not lose its significance ourselves. As a father turns his heart—not just his head—toward his daughter, she will feel his love, and her heart will respond in some way at some point (even if not immediately). Reading this story through the lens of an earthly father gives every dad an opportunity to emulate God as a Father. As a pastor you can ask fathers whether or not they see their daughters when they are a long way off. You can challenge dads to increase their compassionate responses toward their daughters as a way to reach their hearts. You can motivate them to consistently take the initiative to pursue a deeper relationship instead of waiting for their daughters to come to them. And you can encourage them to give affection and show attention to their daughters, especially when their relationship is strained and their daughters need unconditional love from their earthly fathers as a way to trust their heavenly Father. It is no surprise that God feels a special affection toward his children, since He is our Father and calls us His own. By equipping fathers to model the love of Father God to their daughters, not only will the fathers grow spiritually, but so will the daughters. As pastors, you have the privilege of helping dads be the reason their daughters turn to God as a Father. I can think of no higher calling. 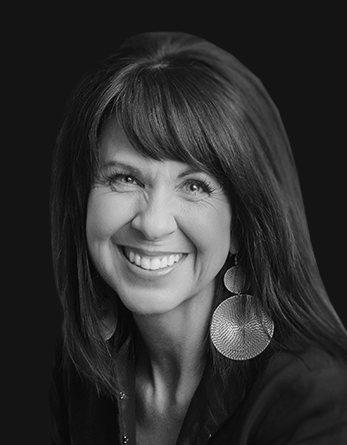 Dr. Michelle Watson is a national speaker, author, professional counselor of 20 years, and founder of The Abba Project, a ministry to dads with daughters in their teens and 20s. She writes guest articles for journals and magazines (online and print), as well as her own bimonthly Dad-Daughter Friday blog. In 2014 Michelle released her first book, titled Dad, Here’s What I Really Need from You: A Guide for Connecting with Your Daughter’s Heart. She also hosts a weekly radio program in her hometown of Portland, OR, called The Dad Whisperer. This study was referenced in: http://www.bpnews.net/15630/want-your-church-to-grow-then-bring-in-the-men.